The bedroom is such an intimate space. The first thing I always asks my client is “what feeling do you want to have in this space?” I also like to ensure my clients that the bedroom design does not have to go with the rest of the house. It can be anything you want. The first step is to establish what the mood of the room will be. Do you want a room that is calm, peaceful, energizing, romantic? The mood you would like to have will help steer the design decisions for your room. Another important aspect of designing a bedroom is its functionality. I always make sure I understand my clients’ routines. When you wake up, go to sleep and any other routine activities need to be considered. For example, if a couple is sharing the room and one gets up before the other, you may want to include lighting under nightstands to keep the room dark while allowing for easy navigation of the room. No matter what mood or functionality you need in a bedroom, there are a few rules that I always follow when designing a bedroom. I always select the flooring first and build the room from the floor up. 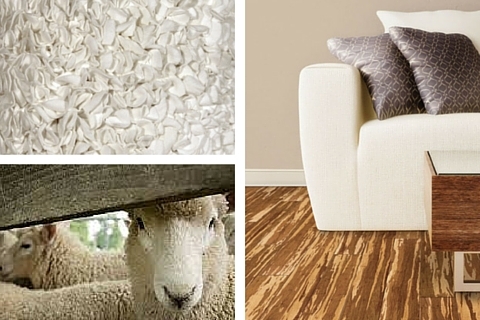 I love to use a natural wool carpet like Just Shorn from Carpet One Floor & Home. The natural fiber is soft, durable and even helps control humidity levels in a room – perfect for a bedroom. Furnishings should be simple with clean lines, but not too matchy-matchy. For a great night’s sleep, take the time to install black-out shades or line your window treatments to shut out the world when you’re trying to rest. You can add panels and color to lighten the space. Invest in good bedding with just the right amount of pillows. Make sure your pillows aren’t overstuffed or stiff. Make sure you have at least three levels of lighting – task/reading, wall sconces and overhead and put all your lighting on dimmers to get just the right amount of light. Use your favorite color on the walls but make sure it’s a muted tone. If you want an accent wall, put it behind the bed. Leave the TV and technology for the rest of the house and keep the bedroom technology-free. Add candles and a great stereo (for your favorite music) to help you relax.